Retro 4 Raptors Long Sleeve tee. 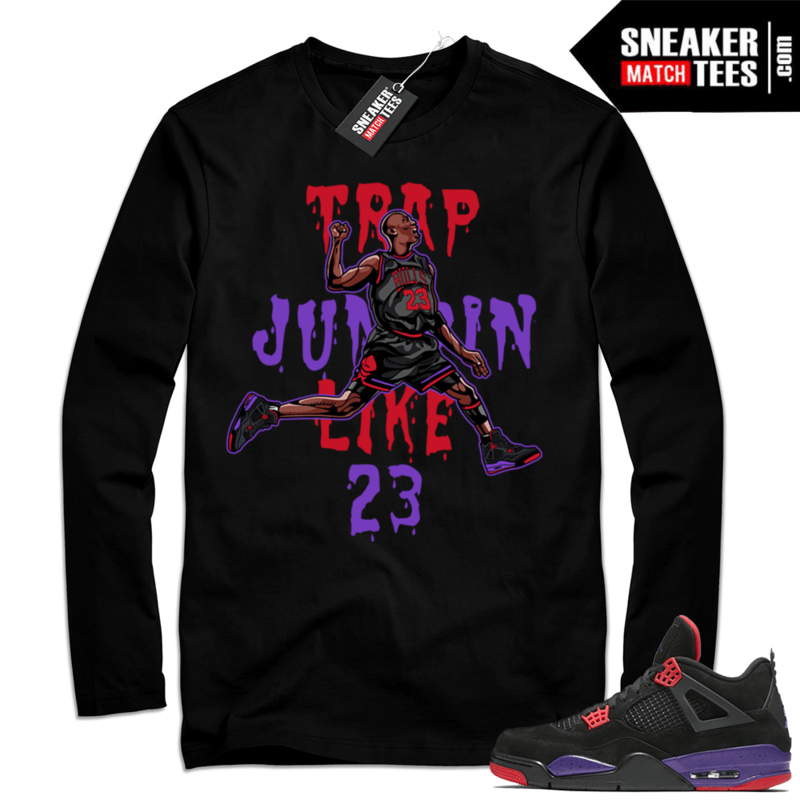 Sneaker clothing and graphic sneaker tees to match Jordan 4 Raptor shoes. Retro 4 Raptors Long Sleeve tee. Shirts designed to match Raptor 4s colorway. Sneaker clothing and apparel to match Jordan Retros. Air Jordan 4 Black Red Court Purple colorway. View the entire collection of Jordan 4 Raptors shirts. The Jordan 4 “Jumpin Like” shirt was designed to go match with your sneakers. This design is exclusive to Sneaker Match Tees Online shop. Complete your Sneaker outfit with this exclusive design.